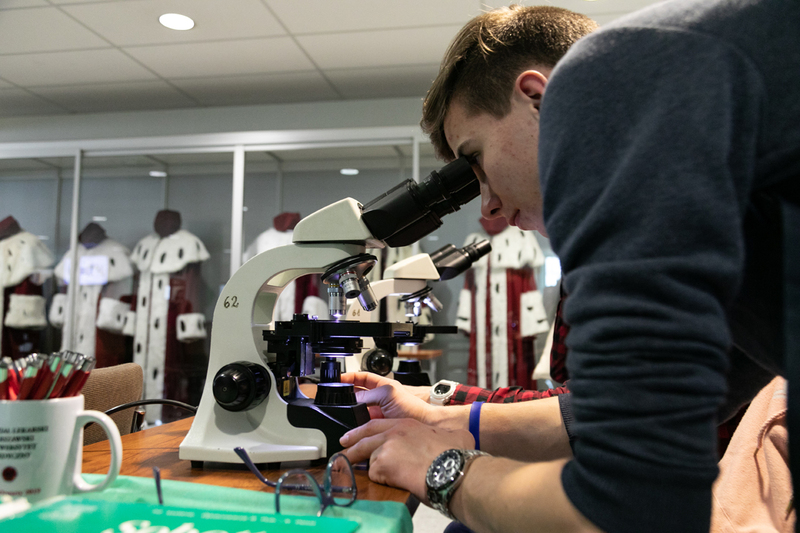 Each Faculty, many student scientific circles and student organizations had tables set up t in the University’s Didactic Center. 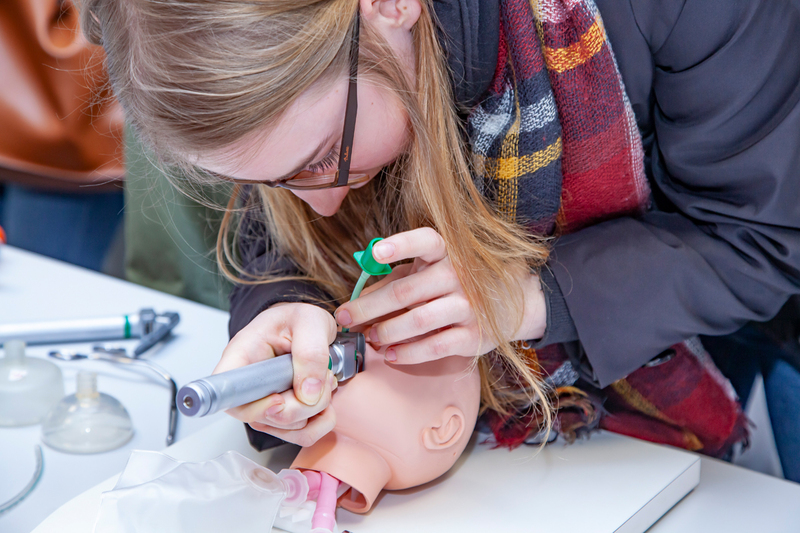 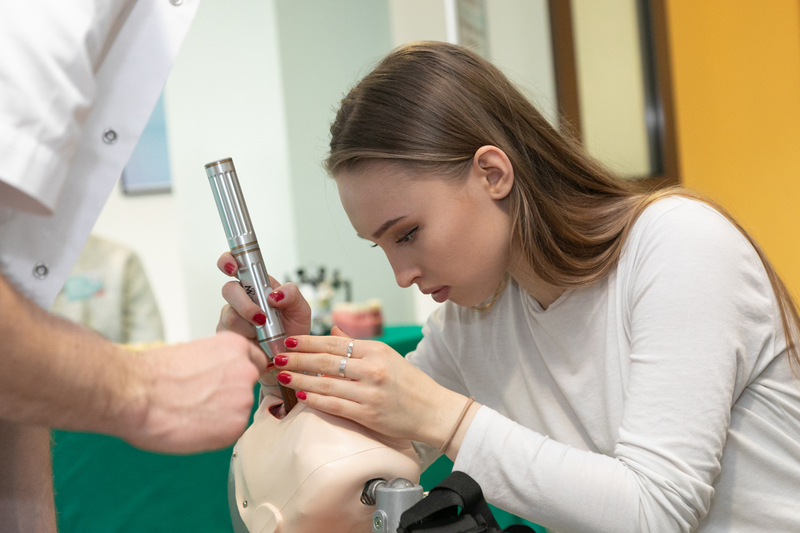 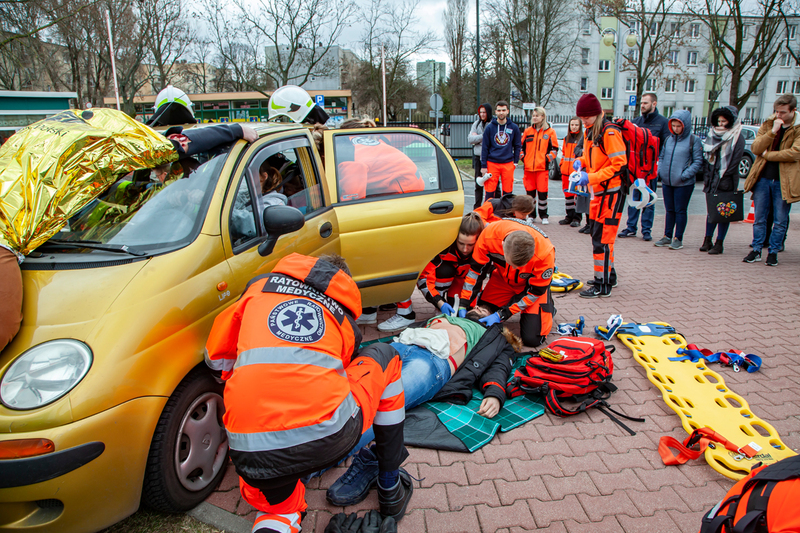 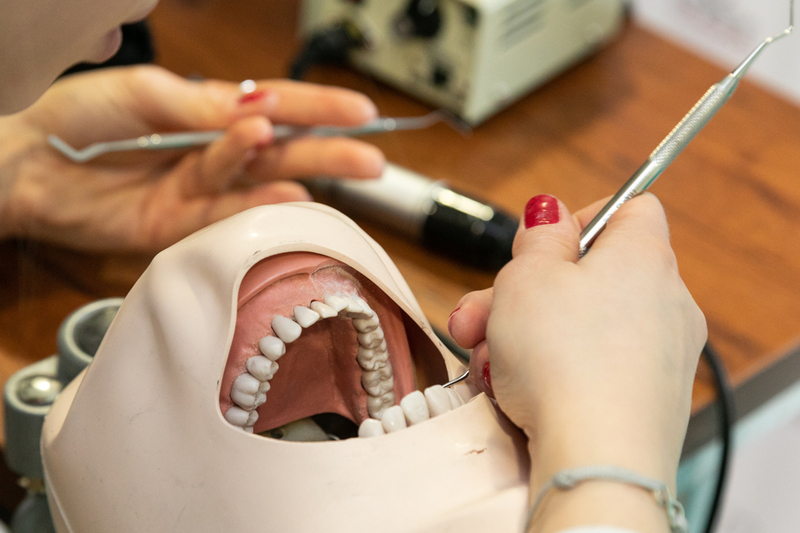 Visitors were able to learn about different programs, ask questions and watch students demonstrate medical procedures on classroom equipment and listen to their experiences as students of MUW. 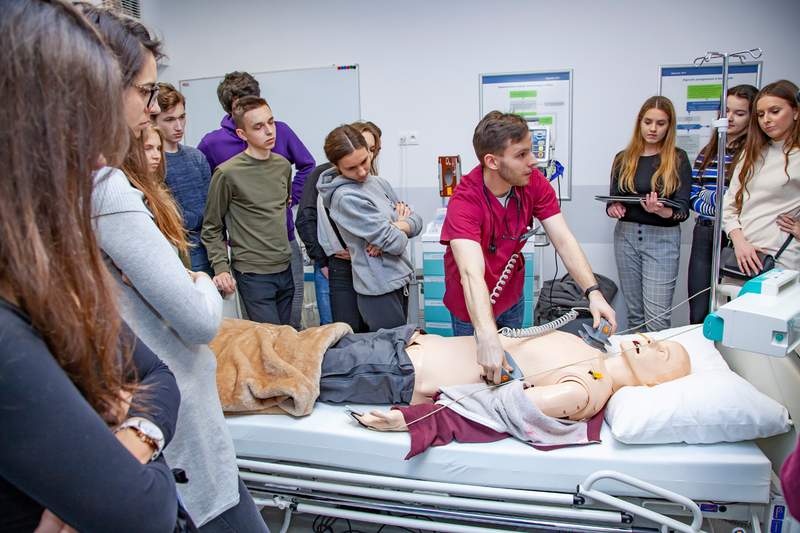 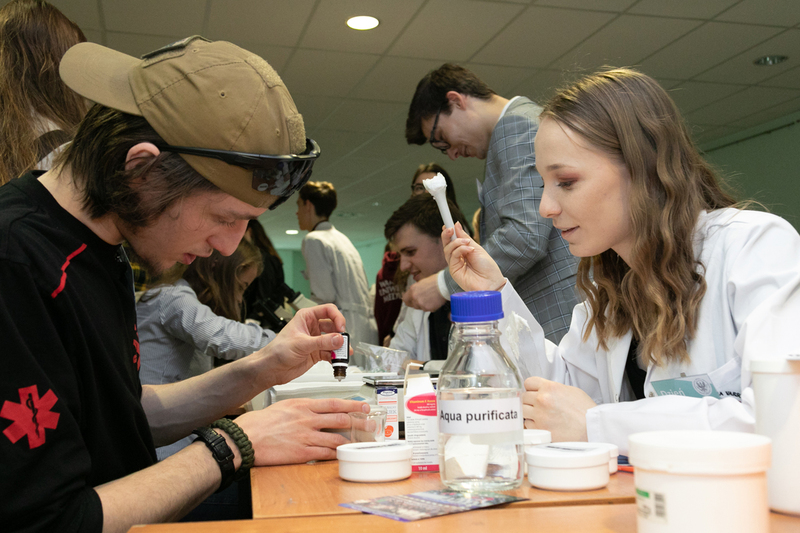 Staff from the Recruitment Office, Teaching and Careers Office as well as staff and students from the English Divisions (medicine, dentistry and pharmacy) were also present at Open Day. 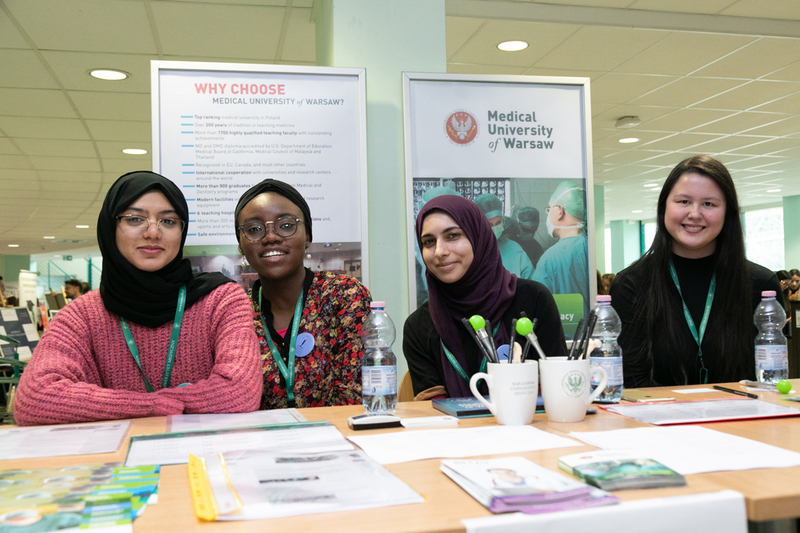 The overall student body at MUW is over nine thousand students including some seven hundred international students from over fifty countries like Malaysia, Norway, Saudi Arabia, UK and USA. 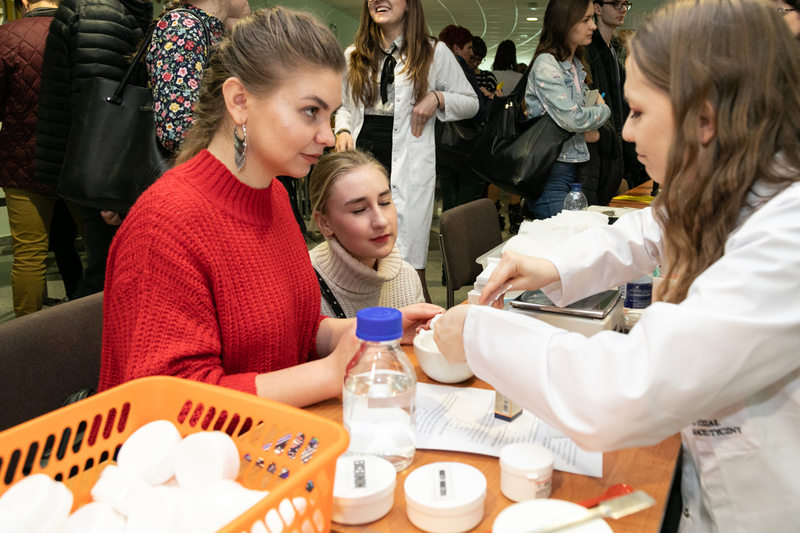 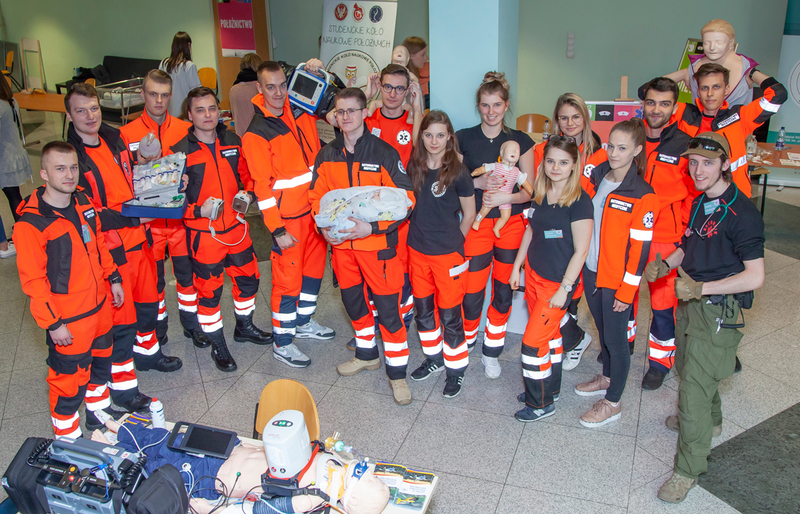 Open Day at MUW was also an occasion to promote a new program called DUO OTM in Health Technology Assessment (HTA) offered by the Faculty of Pharmacy. 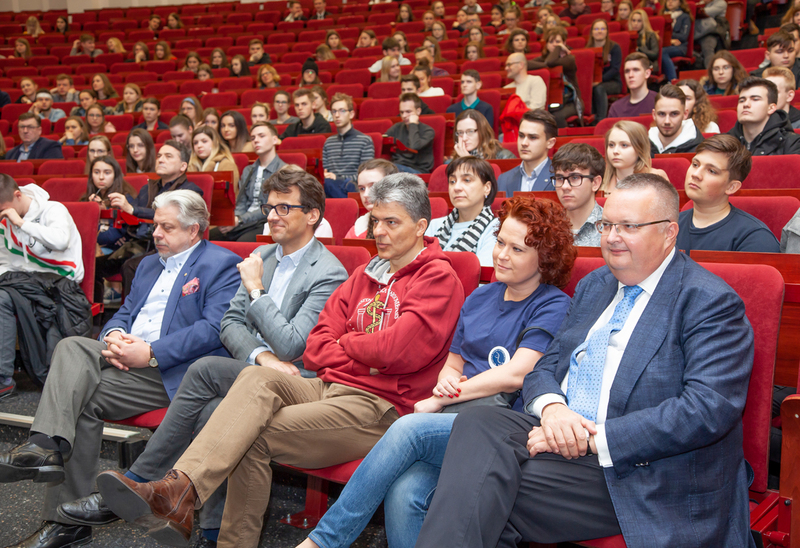 Representing the University’s Rector was Prof. Krzysztof J. Filipiak, Vice-Rector for Internationalization, Promotion and Development who addressed an almost full auditorium (which seats one thousand people) in the Didactic Center. 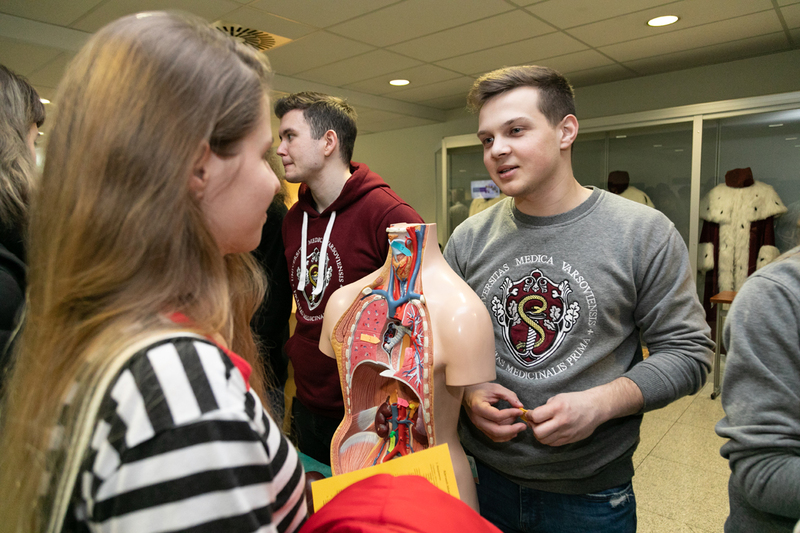 He spoke about the opportunities that await potential students once they are enrolled at Medical University of Warsaw like, traveling and studying abroad thanks to the ERASMUS+ program. 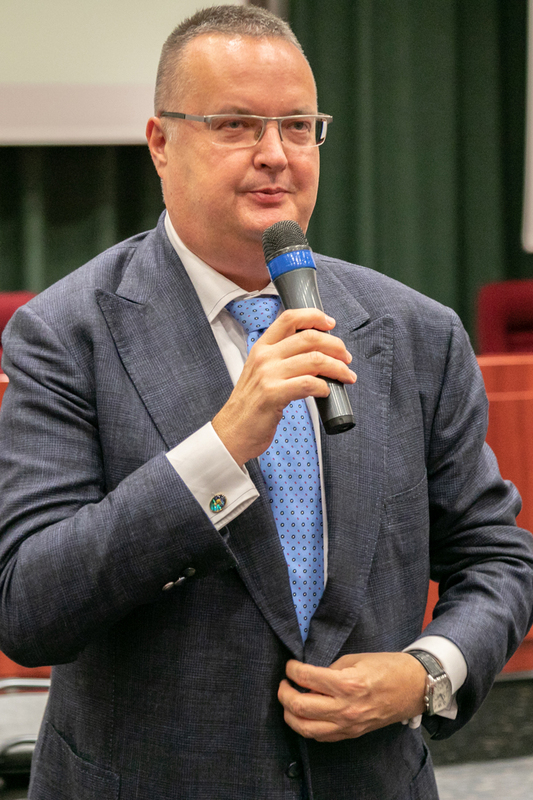 Prof. Filipiak also spoke about some changes which future students of MUW can expect as a result of the new laws in higher education. 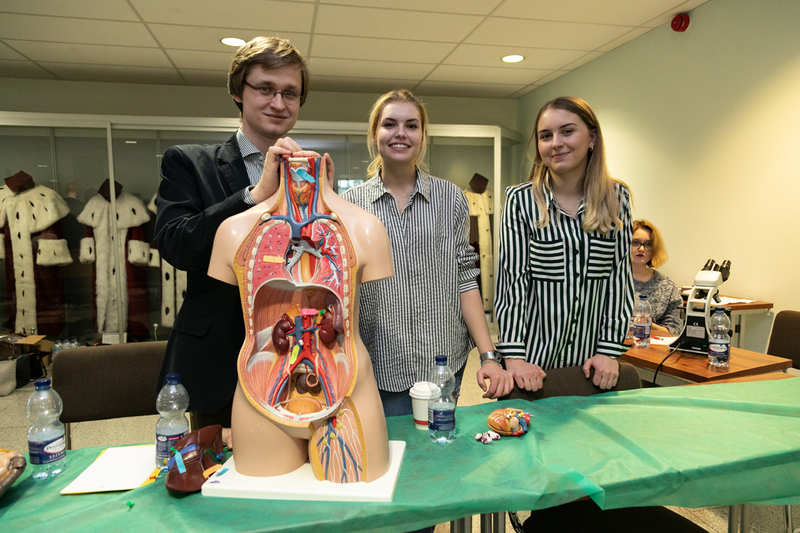 Deans of the First and Second Faculties of Medicine explained that as of the academic year 2019-2020, there will no longer be two separate faculties of medicine but only one. 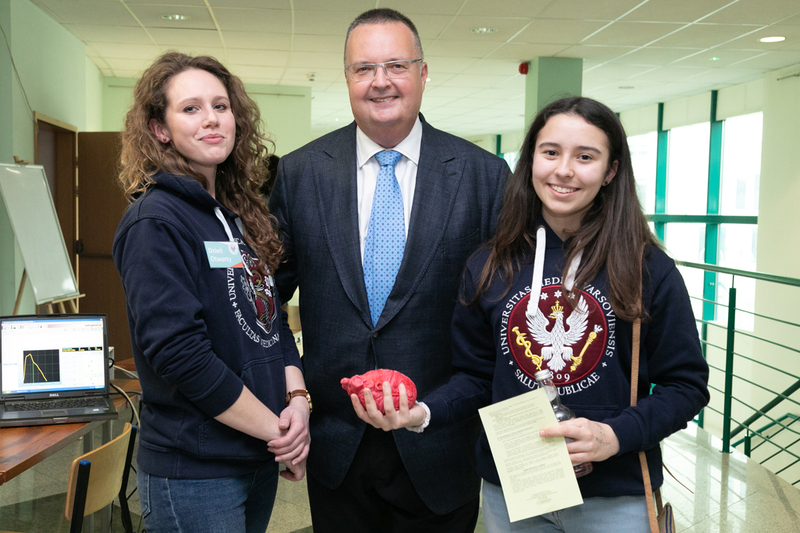 Prof. Longin who is responsible for the admission process at MUW, gave a very practical and detailed presentation. 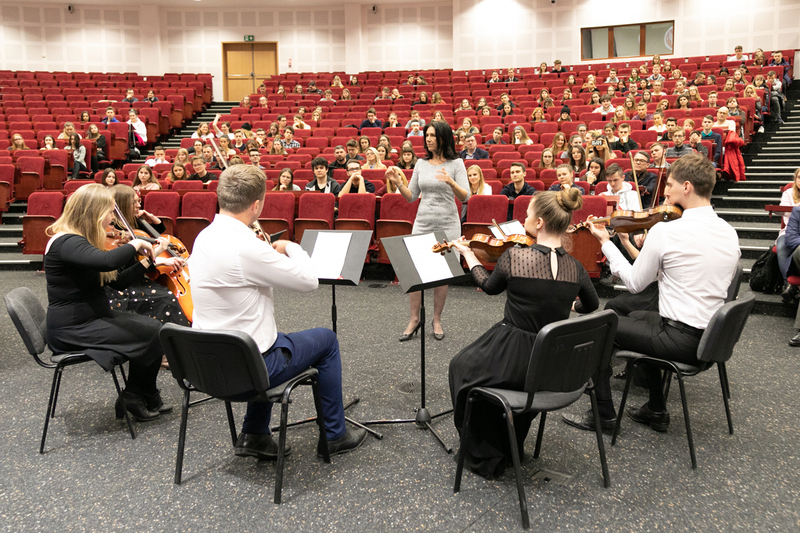 Those present in the auditorium were also entertained by MUW’s orchestra conducted by Beata Herman. 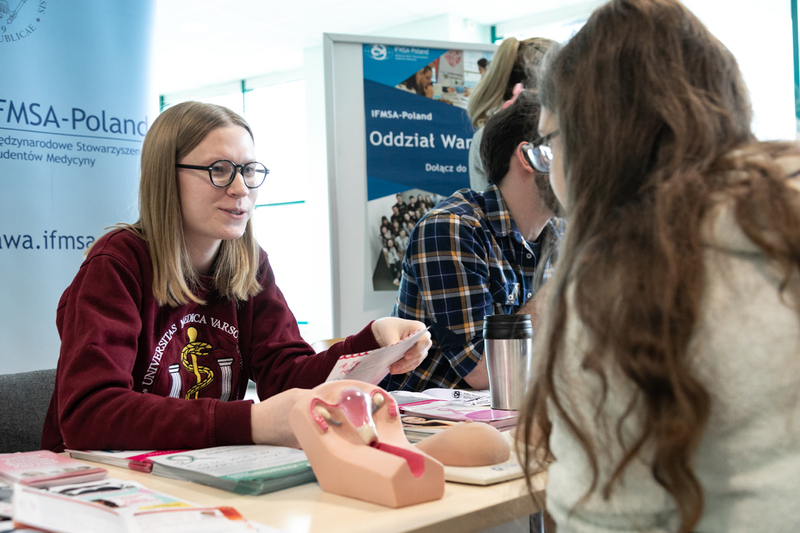 The Information and Promotion Office team would like to thank colleagues, students and MUW authorities for their dedication to Open Day and invites schools, teachers and parents to come with their youth to MUW’s Open Day next year.